Tragedy: Jacqueline Wileman died last year. AN MP has called on Parliament to introduce tougher jail sentences for causing death by dangerous driving following the tragic case of Brierley pedestrian, Jacqueline Wileman. Stephanie Peacock, who represents Barnsley East, spoke out during a debate in the House of Commons saying the maximum prison term should be increased from 14 years and made reference to Mrs Wileman’s death. The 58-year-old mother-of-two had been out walking when was killed by the out-of-control stolen lorry that hit her before ploughing into the side of a house on Park View. The lorry had been travelling almost twice the 30mph speed limit. 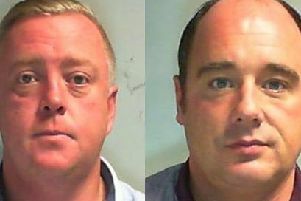 Three of the four men denied causing death by dangerous driving but were found guilty after a trial in February. Their sentences ranged from 10-and-a-half years to 13 years. Speaking about the four men involved, Ms Peacock told Parliament: “Three were on probation, all four had nearly 100 criminal convictions between them and one had already been convicted of death by dangerous driving. “All four received a sentence of 13 years or fewer, including the man driving who could be released within four years. She recommended that Ms Peacock bring the issue up with justice ministers when they meet in Parliament on April 23.